Cambridge University Press, 9781107583450, 288pp. A political crisis erupts when the Persian government falls to fanatics, and a Jewish insider goes rogue, determined to save her people at all costs. 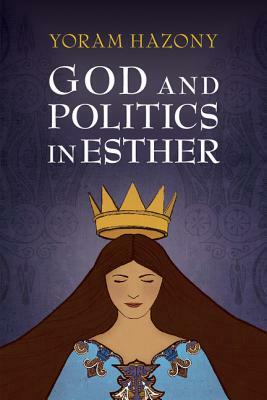 God and Politics in Esther explores politics and faith. It is about an era in which the prophets have been silenced and miracles have ceased, and Jewish politics has come to depend not on commands from on high, but on the boldness and belief of each woman and man. Esther takes radical action to win friends and allies, reverse terrifying decrees, and bring God's justice into the world with her own hands. Hazony's The Dawn has long been a cult classic, read at Purim each year the world over. Twenty years on, this revised edition brings the book to much wider attention. Three controversial new chapters address the astonishingly radical theology that emerges from amid the political intrigues of the book.